Ad series for Peterson's DoD directed at service men and women. 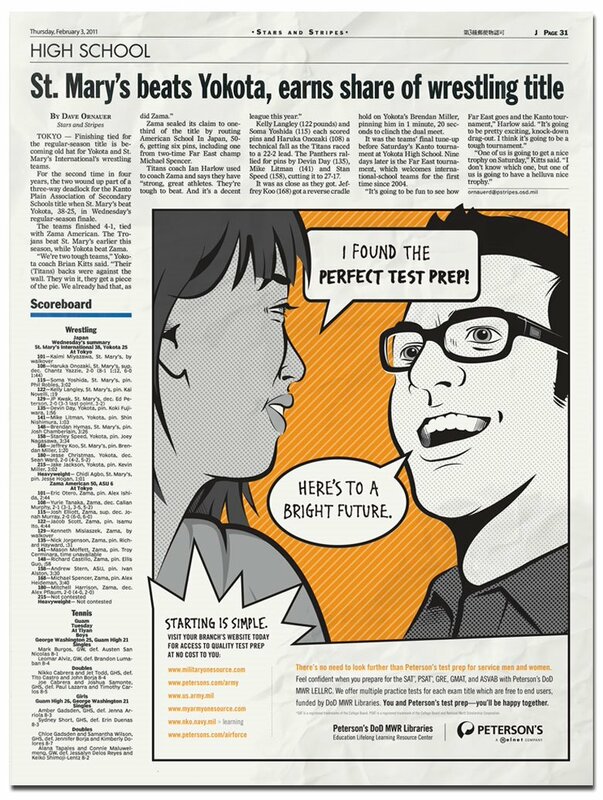 These ads depict two students conversing about how passing the test lead to a positive outcome. The pop art direction was chosen to stand out amongst the paper's photos and draw in the young adult military reader. Ad placement in the Stars and Stripes newspaper. AO Member Shirt - designed for a red or royal blue shirt. The design was inspired by the Great Seal of the United States. Traditionally the eagles head is turned toward the olive branch to represent a desire for peace, but I included an additional head towards the arrows, which represent war. This is to symbolize both the battle, and sportsmanship that occurs during a soccer match. The AO flag was designed for the back of the shirt, below the collar and also appears on the shield. Justin, AO co-founder and vice president, wearing the blue shirt. A couple members have even gone as far as to get tattoos! 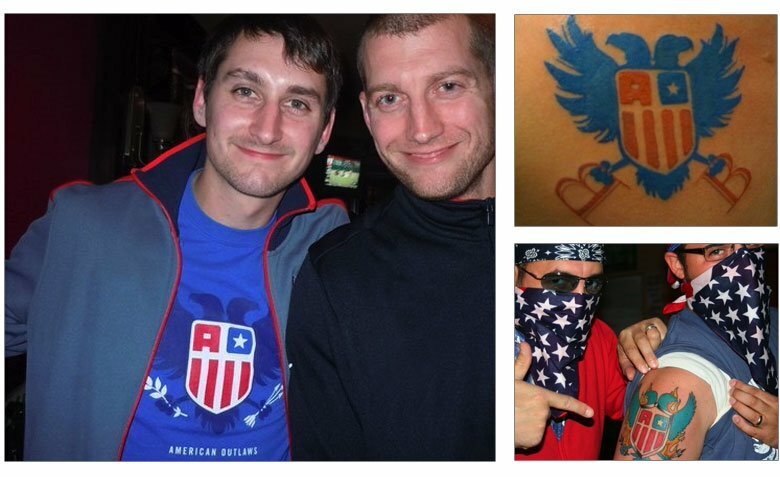 Additional member photos are courtesy of theAmerican Outlaws. 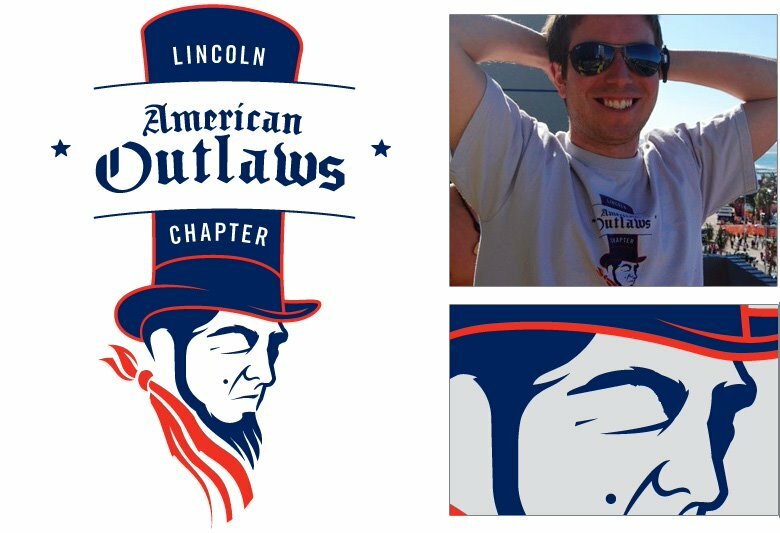 Lincoln, Nebraska Chapter AO shirt - Turned Abe Lincoln into an outlaw. Korey, AO co-founder and president, top right. Won a Bronze Award at Nebraska's AIGA The Show 2010.